Recorded live in Basingstoke at the end of Quercus’s 2006 British tour, this album features two of the UK’s most sensitive and open-minded jazz-based musicians (pianist Huw Warren, saxophonist Iain Ballamy) interacting with the country’s leading singer of traditional folk music (June Tabor) in a set that embraces everything from staples of the genre (‘As I Roved Out’, ‘Near but Far Away’, ‘Brigg Fair’) through settings of poems by Robert Burns, William Shakespeare and A. E. Housman to more contemporary material such as Irish singer/songwriter David Ballantine’s ‘A Tale from History (The Shooting)’. The trio’s approach (Tabor’s impeccably pitched, limpid delivery; Warren’s rippling, lyrical delicacy; Ballamy’s ambition ‘to make one sound with June’s voice ... a matter of tone and precise control of volume’) is respectful, musicianly and carefully calibrated to burnish the songs to a rich, dark glow rather than overtly to mine their sentimental content (although Ballantine’s brooding contemplation of sectarian violence does bring the album’s most passionate response from Tabor), so the overall tone is often closer to that of a ‘classical’ recital than of a spontaneously improvised ‘jazz’ performance. 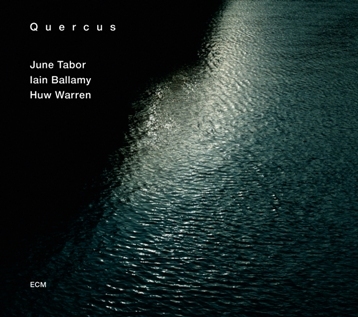 ECM’s trademark hushed, reverent sound, too, ensures that Tabor’s ‘deep autumnal colours’ (as a Guardian review recently described her voice) are presented in as tasteful a setting as possible, with the result that this is an album that, while it perhaps more readily evokes admiration than an immediate emotional response, is, at its core, richly profound and subtly moving. The group are on tour starting 14th April at the Stables in Milton Keynes and ending at the Salisbury Playhouse on 31st May. Full details HERE. My "Album Of The Year"-2013.